With many new photos and an updated introduction, The Day John Met Paul, a critically-acclaimed Beatles book, reappears in a visually stunning second edition. 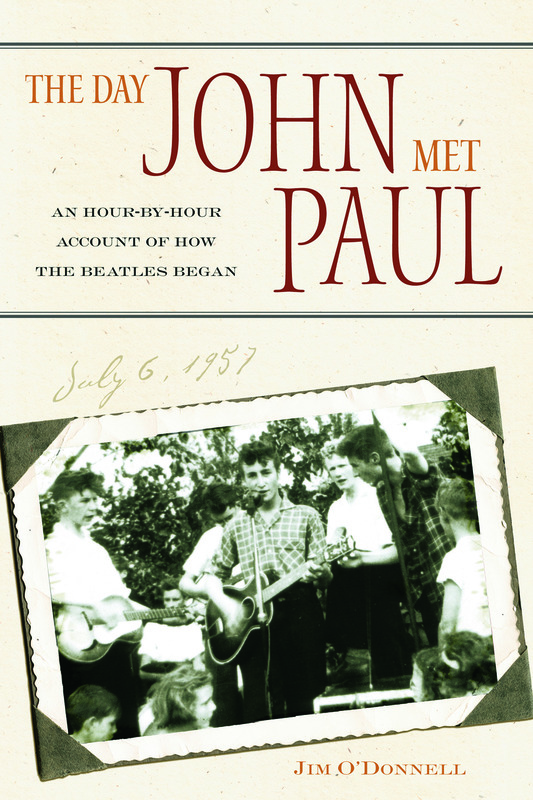 The book is an hour-by-hour account of the fateful day the two founding Beatles met in July 1957. But it is much more than that: it's a spellbinding story of how fate brought together two men who would radically change the face of popular music, from its look and feel to its sound. Jim O'Donnell, a veteran rock music writer, spent eight years researching The Day John Met Paul. Published in 1996 and translated into several languages, the book was widely praised for its blend of accurate reporting and colorful storytelling. Long out of print, but revered among Beatles fans, the new printing enlivens the text with many well-chosen photos of the Liverpool landmarks--from Strawberry Field to Penny Lane--that played a role in the Beatles' lives and works. The Day John Met Paul chronicles the first "Day in the Life" of the Beatles--a day that changed the musical world.